This seemingly simple puzzle can be quite maddening! You must create math sums to count from one to ten – but you can only do so using only four given numbers (in the example below you're given the numbers 2, 4, 7, and 8). Simple? Not as easy as it might seem! 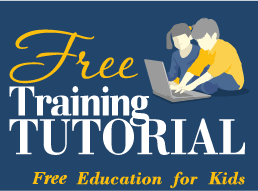 To do so, you will need to use different orders of operation – with the possibilities including brackets and exponents as well as the more usual multiplication, division, addition and subtraction. You’ll have to make sure you put the orders of operation in the right place to get the right answer. When you’re sure, click the tick button and see if you’re correct. 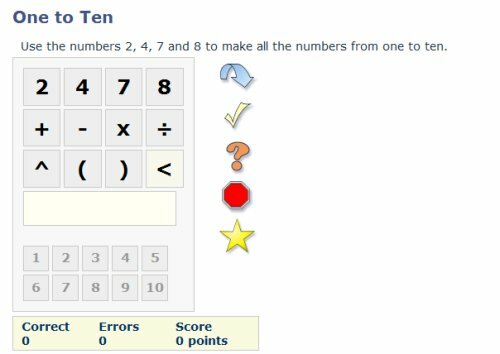 This online activity is a good puzzler for fourth and fifth graders, making you think about the various ways you can work with numbers. See if you can get ten out of ten!